Cann Chiropractic Center has partnered with Andrea M. Fain, LMT and Estee Vozza, LMT to provide massage therapy services. Our massage therapists use a variety of techniques to address soft tissue problems. Many issues can be addressed directly with massage techniques which improve circulation and stimulate healthy separation and realignment of injured fibers. Massage increases circulation, reduces painful swelling and inflammation and promotes healing. By adding massage therapy to your chiropractic care program your recovery may be faster and more complete. Chiropractic treatment often proceeds more easily, with less discomfort and chiropractic adjustments often have a better effect when coupled with massage. 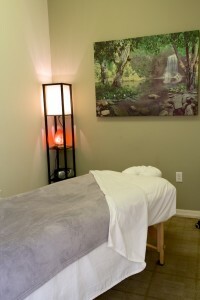 We offer trigger point, Swedish, deep tissue massages and more starting at $59 per hour. Special rates are available for monthly massage and weekly massage clients.